Senior Design is the cornerstone of the QEC. Teams registered in this category have 12 hours to create a prototype of a solution to the problem they are presented with on the day of the competition. 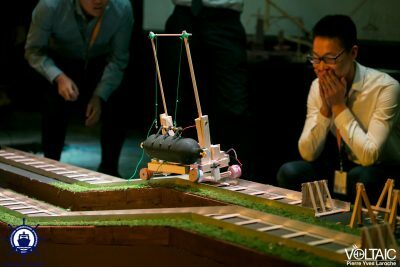 At the end of the marathon, teams demonstrate the usefulness of their solution by accomplishing, in front of an audience, the task that their prototype is expected to help with. 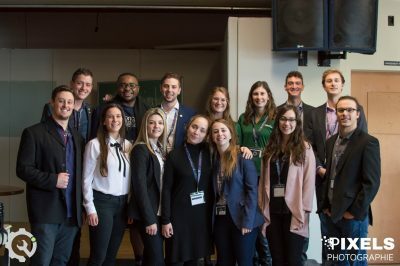 This competition, planned for teams of four people, is typically reserved to students who have accumulated at least 60 credits towards their bachelor’s degree. 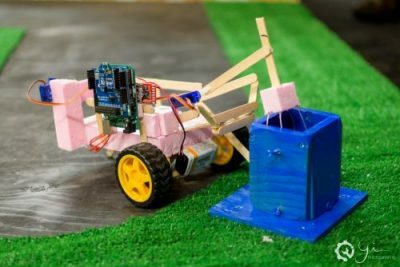 The Junior Design competition is the Senior Design’s younger brother. The rules are similar, but there is no programming. Generally, teams have four to six hours to build their prototype. This competition is reserved to participants who have accumulated less than 60 credits towards their bachelor’s degree. Engineers can’t only count on their management and conception skills; they must also perfect their communication skills to correctly navigate a world in which multidisciplinarity is becoming more and more important. 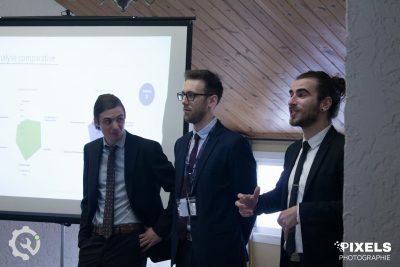 The oratory debate competition uses this premise to shine the spotlight on future engineers entangled in verbal jousts, arguing with tact, eloquence and repartee. In this competition, participants face off in teams of two, and develop their argument on the spot over a position and a theme that is decided for them. Consulting being one of the most popular engineering disciplines, the QEC makes a point of presenting, every year, the consulting competition. 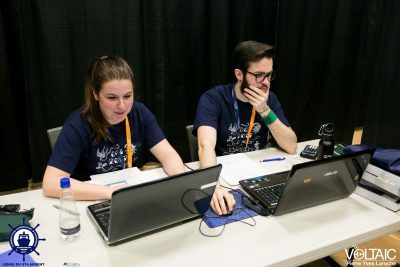 During this challenge, teams of four participants have about six hours to come up with a complete solution to a complex problem. Their solutions must then be presented to a jury, emphasizing the participants’ oratory and persuasion skills. For the public, engineers represent invention and innovation. 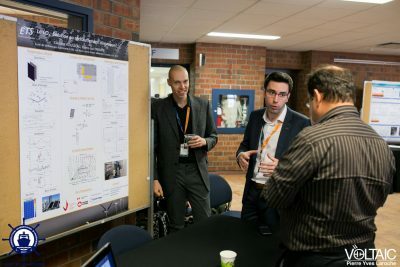 Under this category, people who see engineers as modern times’ Da Vincies will be served, as participants will hold kiosks presenting innovative ideas they came up with. 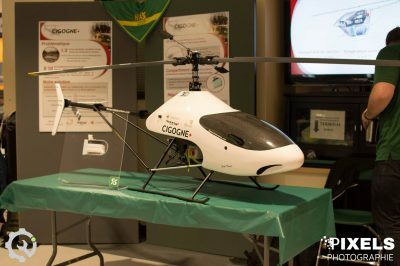 The different concepts shown will show that engineering in Québec is alive and well. The often complex work of engineers forces them to rely on abstract and intangible concepts. This is why they must know how to simplify and communicate their knowledge in a clear and concise way. The scientific communication competition allows participants, alone or in teams of two, to demonstrate their communicative skills by clearly explaining a complex engineering subject. Presentations are evaluated by a jury. In this competition, graduate participants present a Master’s or Doctorate project. 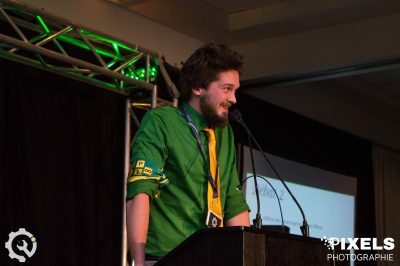 This competition is run in two parts: a poster show available to the public and judges, followed by a presentation in front of a panel of judges. Presentations will be evaluated by the quality and clarity of the communication, the innovativity and the technical feasibility. The quality of visual aids will also be evaluated. Technology evolves so quickly that it’s sometimes a good idea to take a step back to better understand the next level of a product. More and more, engineers are invited to enhance and optimize what seem to be mundane products around us. The reengineering competition aims to test participants, in teams of two, at making existing products better at answering new needs. Solutions will be presented to a jury, allowing participants to not only demonstrate their imagination and technical skills, but also their oratory skills.